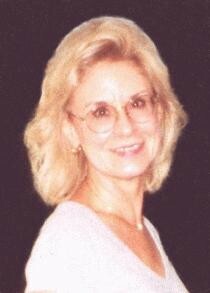 Donna Jean Wooten, 69, of Milton, went home to be with her Lord after a long and courageous battle with cancer on Friday, April 25, 2014. She was born July 31, 1944, in Williamson, a daughter of the late Ervin and Ernestine Terry Hall. She is also preceded in death by her first husband Robert Fought. She is survived by her husband Dan Wooten; one daughter, Lisa Fought; one sister, Judy Smith (Larry); one brother, Barry Hall (Mary Ellen); two nieces, Kelly and Courtney Hall; very special brother-in-law and sister-in-law, Rex and Susie Fought; her sweet baby girl Chloe; her stepson Chris Wooten and his children Cole and Olivia Wooten; and two very special friends, Earl and Janet Canterbury. She was a member of Lewis Memorial Baptist Church. The family would like to thank Dr. Aneel Chowdhary and the entire staff at the Edwards Cancer Center and the staff of the Emogene Dolin Jones Hospice House for their love and support. Friends may visit from 2 to 4 p.m. Sunday, April 27, 2014 at Wallace Funeral Home, Milton. Funeral services will be conducted at 11 a.m. Monday, April 28, 2014 at Wallace Funeral Home, Milton with Dr. Tim Yates and Dr. David Lemming officiating. Burial will follow in Forest Memorial Park, Milton. Online condolences may be expressed to the family at www.timeformemory.com/wallace.